Display it at our Strawberry Fest! FREE REGISTRATION! PRE-REGISTER TO PARTICIPATE. 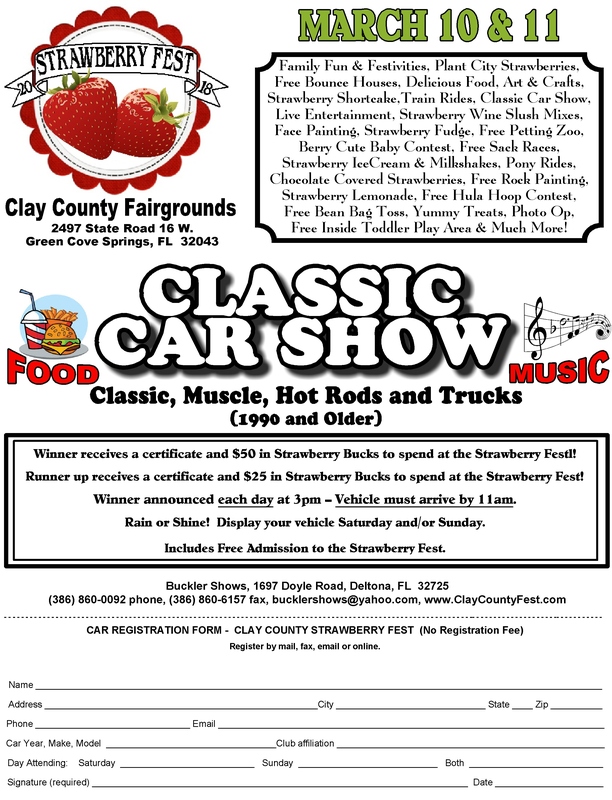 Display your vehicle Saturday, Sunday or both days.. Includes Free Admission to the Clay County Strawberry Fest. 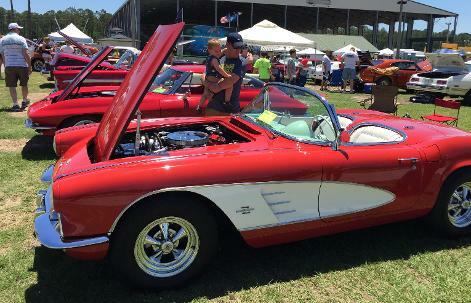 Winner receives a certificate & $50 in Strawberry Bucks to spend at the Strawberry Fest. Runner up receives a certificate & $25 in Strawberry Bucks to spend at the Strawberry Fest. Winner announced each day at 3pm * Vehicle must arrive by 11am.